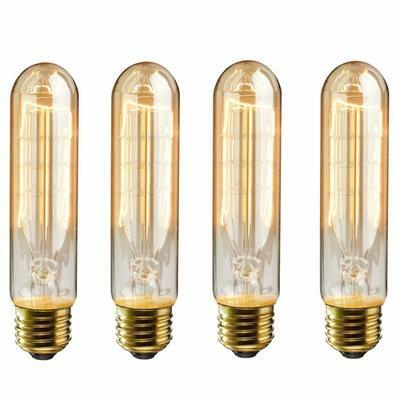 You can purchase the realistic looking but modern and safe bulbs for your mason jar light project, and also the lamp cord with socket like they use in the video to make your cute hanging lamps. But I also found that if you don't like the idea of cutting out that hole in the metal for fear of cutting yourself, you can get a Mason Jar Light Kit with the cord and lid already attached. You just provide the mason jar and bulb. 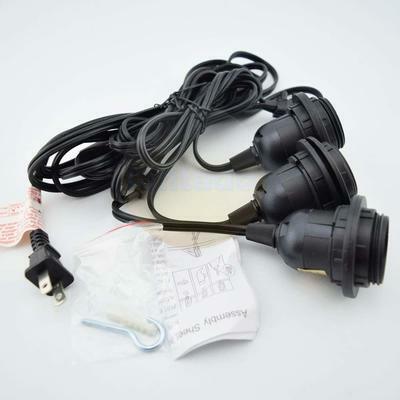 If you don't want to do anything electrical and you want to spread your industrial look to your patio, porch or balcony, you can get creative with these solar lights. You could also leave them outside during the day and bring them inside for the evening for a super cool ambiance. Check out the video below and hopefully it inspires you to do something with that dusty collection of jars you have! You can get the solar lights for cheap at the dollar tree online. 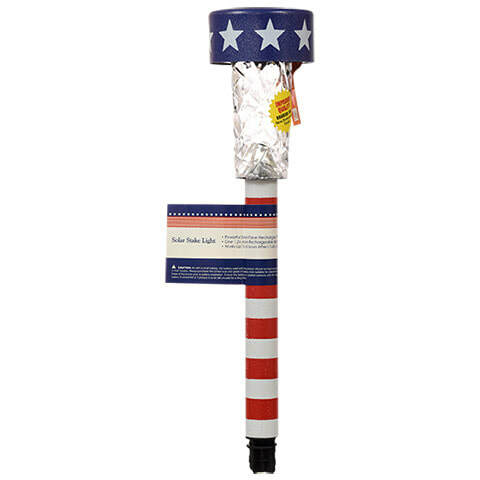 Just click the picture of the patriotic solar light and get them for a buck each. 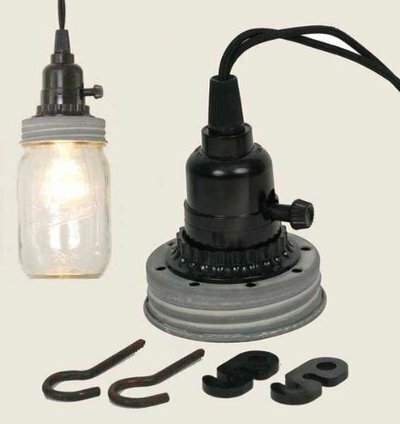 For 12 bucks you could light up your patio with 12 industrious rustic looking lamps! 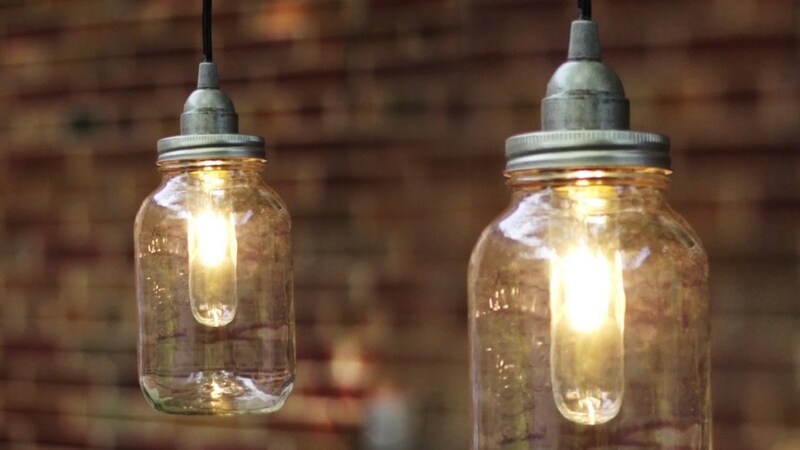 ​Another great way to use mason jars. All you do is twist off the stick part of the solar light (the striped bit) and you are left with the top part that you use for this craft. Don't forget to pull any tab showing to activate the battery inside. This is a really cool affordable project. You could wrap old wire around the and paint the lid black for a more rustic look. Although dragons don't really come into play when it comes to industrial, they do have that right ambiance with the rustic look and the way the light emits from these super cool jars. Check out the video below and see if this inspires you to add this to your industrial or old world decor! Make a few of these around your industrial looking room especially in the evening and it will definitely be a conversation piece! The best part is they do not cost much at all, and there is no electricity or solar involved, just those safe little battery operated tea candle lights. My only hint to you, is to get a jar with a wide enough mouth so that you can get your hand in to turn on and off the candle. The neat part is that by day you can't see anything but an old grungy looking jar, but by night.. the dragons come out to play! You can get the laser dragon cutouts on Amazon. There are so many cool ways to use these jars. There are so many around these days that it is a great way to recycle old ones, but if you need more, the dollar tree sells them too for cheap! They were always used for canning and still are so they are built to be tough, but they can also be so many other things. If you love the industrial or warehouse look, check my other pages on this site. (HOME PAGE) I have all kinds of ideas for old world decor. Much of it you can now get online or make yourself if you are creative. I found local lighting stores to lack in this design, so I went searching online and found all kinds of cool ideas especially with Amazon. But today I was researching just how to get that look for cheap if I am willing to get a bit creative. With the right supplies, you can pretty much do anything with these jars!